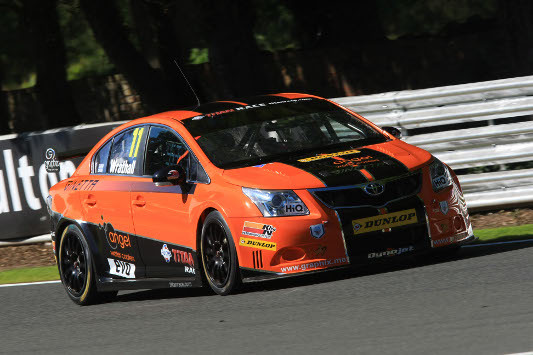 Toyota independent Frank Wrathall and the Dynojet Racing team secured their best-yet Dunlop MSA British Touring Car Championship grid slot in an eventful qualifying session at Oulton Park this afternoon. The 24-year-old Lancashire driver’s Avensis will start the first of tomorrow’s three BTCC races from 18th place on the grid. 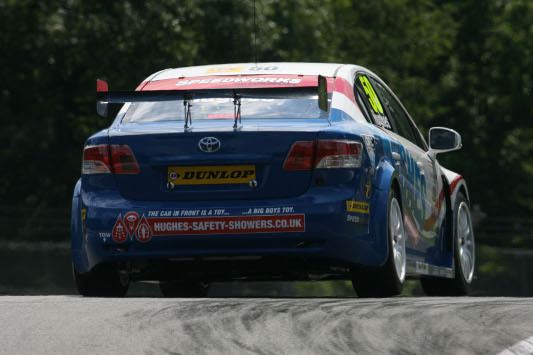 The championship’s other Avensis independent, Tony Hughes, will go from P24 after he too made steady progress at the Cheshire track. Wrathall’s best lap came early in the 30-minute session, Frank posting 1m 29.252s, fully three seconds better than he had achieved in this morning’s free practice session. He was poised to go faster still, but oil dropped on the circuit by another car led to a spate of accidents and a session-halting red flag. 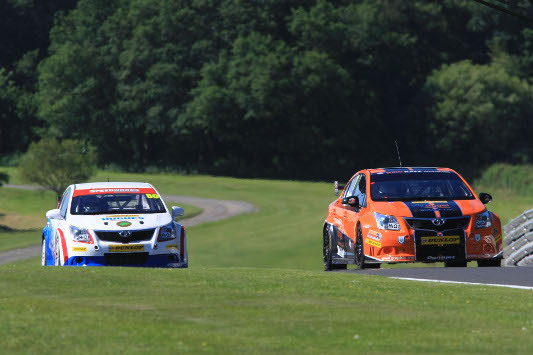 “I couldn’t have asked for more than that from the early part of the session,” said a buoyed-up Wrathall. “We had various problems in practice and for the team to have turned the car around in the time available and to go straight out and do that time shows what a brilliant job the boys did. “I was all set to go quicker again, but then the red flag came out and that was that. I think there was easily another half a second to come from the car and that would have taken us even closer to the top 10. 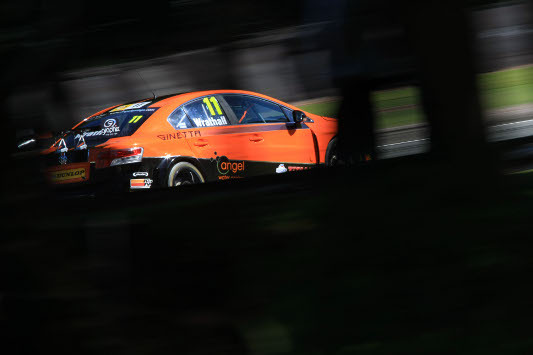 “Our weekend starts here, and hopefully we have now found the reliability we need for three solid races tomorrow.” Wrathall is set to be cheered on by a small army of supporters at what is his local circuit. It’s a local derby also for Stockport man Hughes, whose Speedworks Motorsport Toyota set a best lap of 1m 31.605s, a half-second improvement on the best time it set in free practice. Tony was one of several drivers to find the oil slick left by a rival, which led to a hairy off-track excursion.